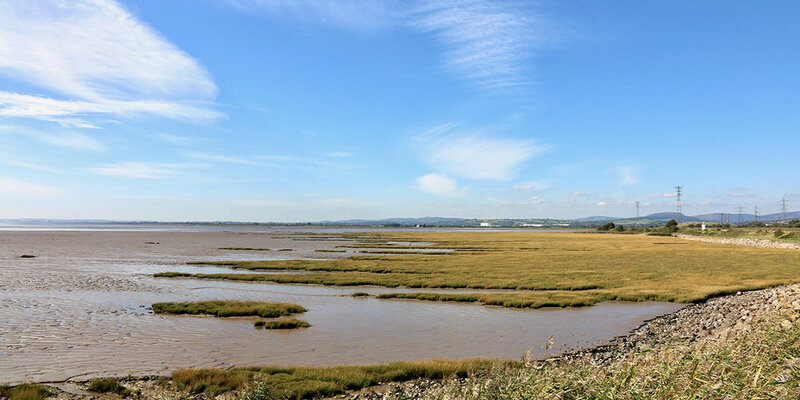 Beyond the seawall, the vast mudflats, saltmarshes and open water of the Severn Estuary are fundamental to the setting and character of the Gwent Levels. The immense tidal range of the Severn Estuary and its coastal geometry combine to build up the largest tidal bore in the UK further up the estuary. It boasts the second highest tidal range in the world, between 12 and 14m, which is second only to the Bay of Fundy in Canada. This is a dramatic and dynamic seascape of big skies, a sense of light and panorama, including views of the two colossal white bridges spanning the silt-laden tides of the estuary. The expanses of windy saltmarsh and mud exposed at low tide are used by tens of thousands of migratory waders and waterfowl which arrive from Northern Europe each winter, roosting and feeding on the Estuary’s saltmarsh and mudflats and filling the coast’s cold air with raucous babble. 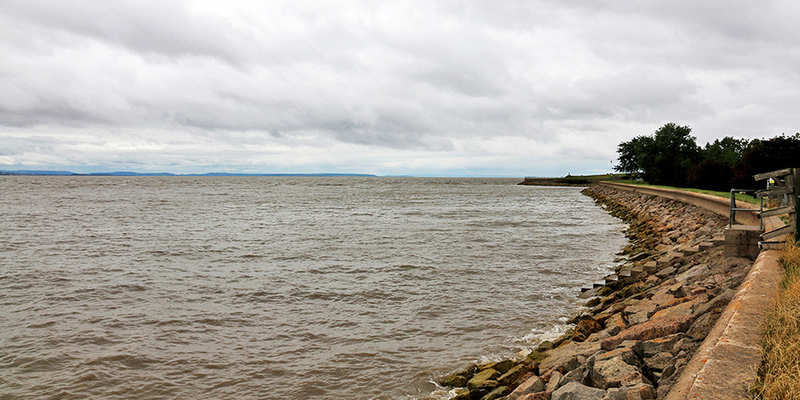 The Severn Estuary has the second highest tidal range in the world, between 12 and 14m. The long-standing relationship between local communities on the Gwent Levels and the estuary is evidenced by small, traditional landing places for cross-channel trade, which serviced communities such as Peterstone, Goldcliff, Rumney and Redwick, and are associated with early medieval ship finds. The importance of the Estuary for maritime trade burgeoned from the medieval period onwards, particularly following the Industrial Revolution which transformed Cardiff into one of the largest coal ports in the world (the coal sourced from the valleys supplied the Naval fleet). The import and export of goods and raw materials along the estuary fed the expansion and wealth of Cardiff, Newport, Bristol and Gloucester. The pattern of ship wrecks illustrate both the dangerous navigational conditions and the estuary’s role as a maritime traffic route (with losses associated with the Cardiff approaches and hazards such as the Aldridge Shoal). The seascape is also full of geological clues to its past – the red cliffs rising out of the saltmarshes at Black Rock are rich with the fossils of the plesiosaurs and insects which populated the landscape when the area was transformed from a hot arid desert to a warm tropical sea approximately 200 million years ago. The Lave Net Fishermen at Black Rock from the local villages of Sudbrook, Portskewett and Caldicot are the last Lave Net fishermen in Wales. The tradition of Lave Net fishing at Black Rock has been passed down through many generations across many centuries and now the fishermen are actively promoting the fishery as a heritage fishery and tourist attraction in their aim to keep the history and tradition of lave net fishing alive for future generations to enjoy.